It’s essential for couples to plan date nights with each other even if they spend every night together watching their favorite show and dining together with their families. Setting aside a particular time to spend together will bring you closer and make you more appreciative of each other. 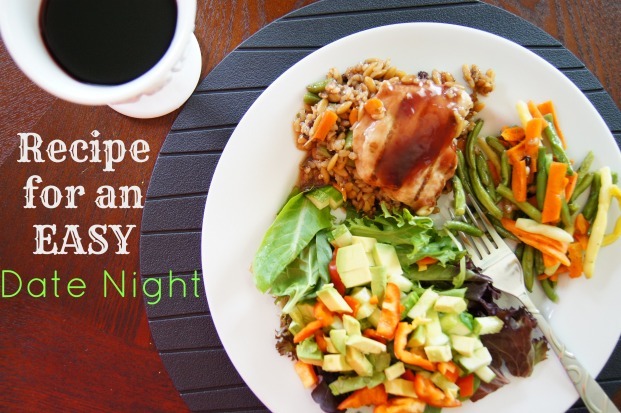 How do you begin to plan a healthy meal for date night? 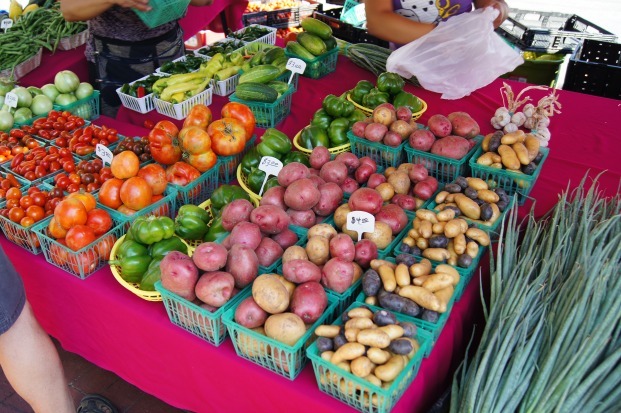 First head to the local Farmer’s Market and pick up as many fresh fruits and vegetables as you can find for a week’s worth of meals. We like to incorporate as many pieces of fresh organic produce into our diet as we can and you should too! Eating healthy is the first step to taking care of ourselves. Then we head over to the grocery store to pick up the items that the Farmer’s Market doesn’t provide. 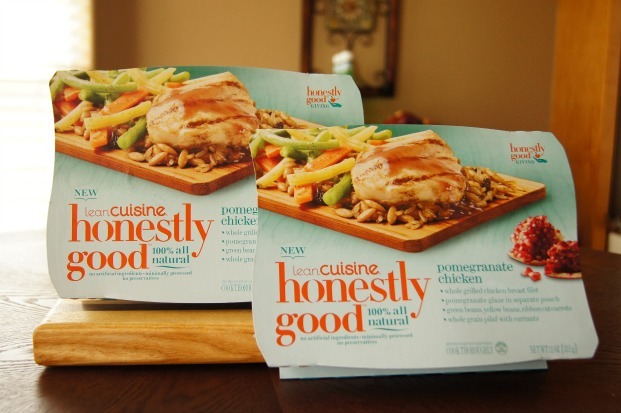 We love to buy Lean Cuisine’s Honestly Good 100% natural meals. Give it a try! Here’s how to incorporate these healthy meals into a delicious date night meal for the two of you. The Honestly Good meal is really good, and the fresh salad is a yummy compliment. My favorite is the Pomegranate Chicken which consisted of chicken breast, whole grain rice pilaf with currants, green beans, yellow beans, carrots, and a pomegranate glaze. Do you have plans to stay in for Valentine’s Day this year? Why not make a healthy meal for the two of you? This might be the start of a romantic, and healthy tradition! The Babies are Coming – Celebrate and Nourish with YoBaby! I LOVE your recipe for a date night!!! And how did I not know you are a Walking Dead fan??? =) I’m obsessed! Your meals look delicious! I can’t wait to try them!!! They look like a Farmer’s Market in a box! YUM! Greg and I watched the whole Orange is the New Black season in 8 days! Lots of good couple time but I think it’s better balance when shows are only available one at a time. A few shortcuts are important when you are both working all the time. Love pairing fresh from the farmers market salad with something premade but healthy. Congrats on 1 month! Love the post Courtney! Great recipe for an easy date night 🙂 Doug and I will have to recreate soon! Good post Courtney! Love the quick dinner idea so you have more time for yourselves. Can’t always dive into a big dinner menu and plan. Fantastic images and ideas Courtney! Another sweet bonus of these meals is that they offer Lean Cuisine delicious reward points as well. If you are a longtime Lean Cuisine customer you can really score some great prizes by collecting the points. Thanks for the reminder about taking time our for “date night” it usually gets put on the back burner! These look yummy and I know they’re easy too. Now that’s a good recipe for a date night.